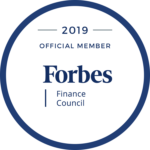 Verrado, Eastmark and Vistancia, three well known master planned communities in Arizona, have been ranked in the top 50 best-selling master planned communities. As amenity packages become more creative, the competition to make the list becomes tougher. Ways that many m aster planned communities bring quality in the amenity packages for the residents is in outdoor recreation. 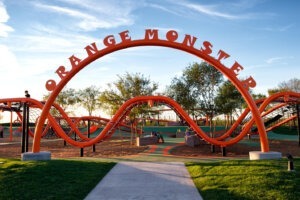 At Eastmark, the Orange Monster brings character to the park, as well as encourages involvement in the community, exercise, and creativity (children were the ones who designed the play-scape afterall). Vistancia also encourages an active lifestyle by providing walking and hiking trails within the community. Verrado has an interesting take on reflecting the Valley’s passion for philanthropy. Being associated with countless charity and philanthropic initiatives, Verrado was able to create a generous community. By inspiring these events, the giving tree not only inspires people to come together, but to continue thinking creatively on how to make the world a better place for others. Other creative amenities from other master planned community’s include a zip line from Jacksonville’s Nocatee community, and the incline, a 200-step outdoor staircase at The Meadows in Denver, CO. What’s your favorite amenity that you’ve seen offered by a master planned community, or one you’d like to see? Let us know in the comments!